This article, published in the St. Cloud Times, does not have our name in it, but Cross Country Construction built this facility last spring. 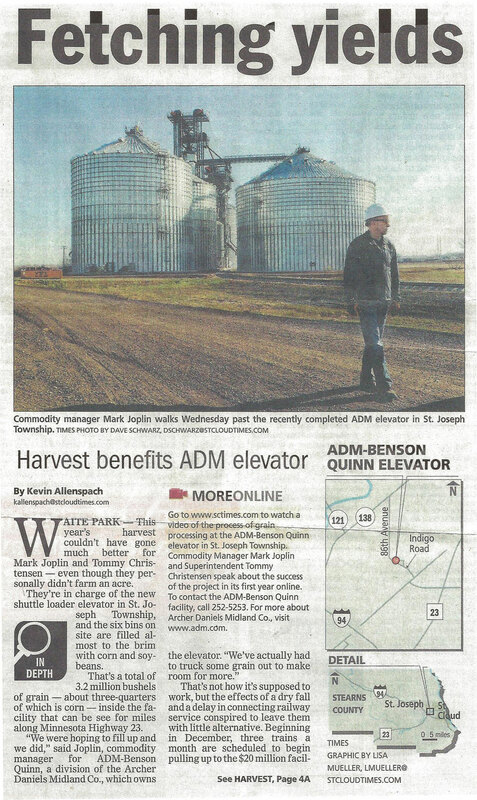 Go to www.sctimes.com to watch a video of the process of grain processing at the ADM-Benson Quinn elevator in St. Joseph Township.